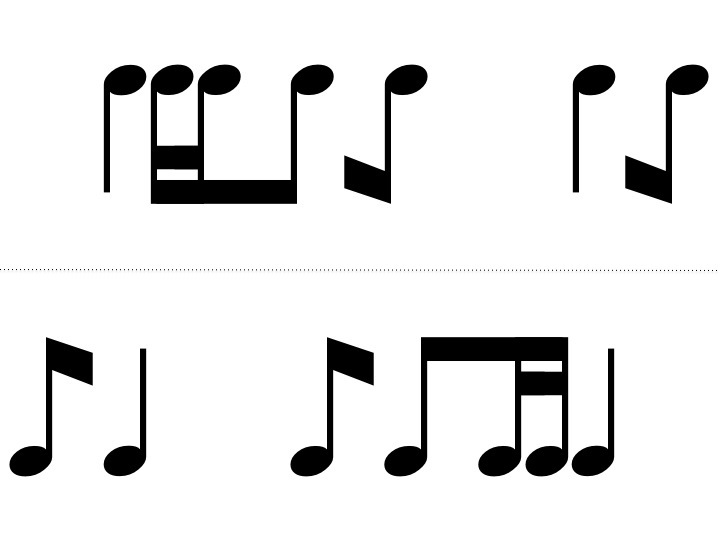 "King of the Mountain" is a very fun rhythm practice game that I learned from Lamar Robertson when I very first started teaching. Of course, I started trying to implement it without having all my Kodály levels and I have since refined the way I teach it. One student is designated the King/Queen. The person to the King’s right is the next highest player on the mountain (one position lower on the mountain than the king); the person to that person’s right is the one position lower etc., all the way around the circle with the player to the king’s left being the lowest player on the mountain. In other words, as you progress around the circle from the king’s right, you go “down” the mountain (you get lower and lower on the mountain). The goal of the game is to work your way up to the top of the mountain and be in the king’s position. The king starts the play by reading his/her card, with a steady beat. Without missing a beat the king must then read another player’s card. The player who’s card is read must then read their card and then another player’s card and so on until someone makes an error. The rhythms on the card must be read with a steady beat and without missing a beat. If a player makes a mistake (for example, misses a beat, reads a rhythm wrong, says their card out of turn) that player goes to the bottom position on the mountain (the seat to the king’s right) and all players “lower on the mountain” that that player advance up a position. ** THE CARDS ARE FIXED IN THEIR POSITION- THE CARDS DO NOT MOVE, only the players change position. The king starts the play again, once everyone has changed position. The end of the game is determined by the length of time the teachers wants to designate to the game. 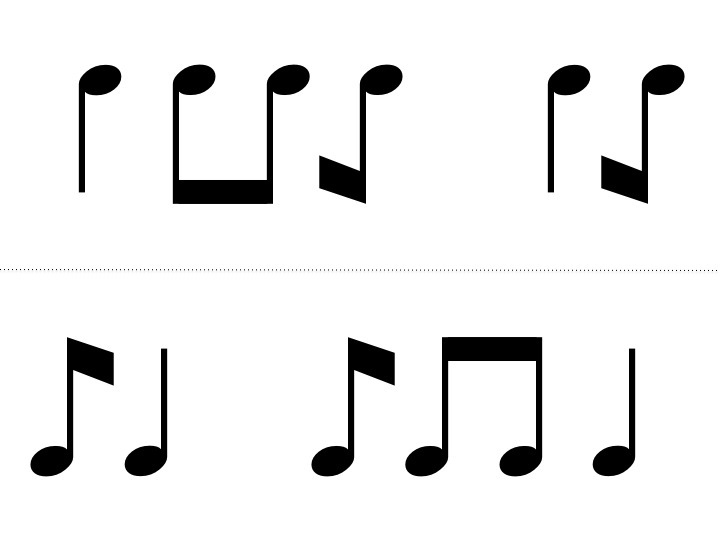 Have students must clap their rhythms, in addition to saying them. 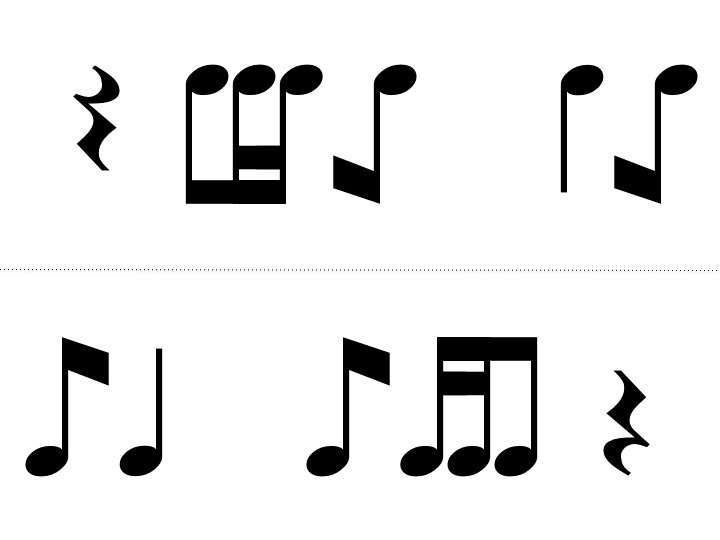 This is much harder then just saying their rhythms. 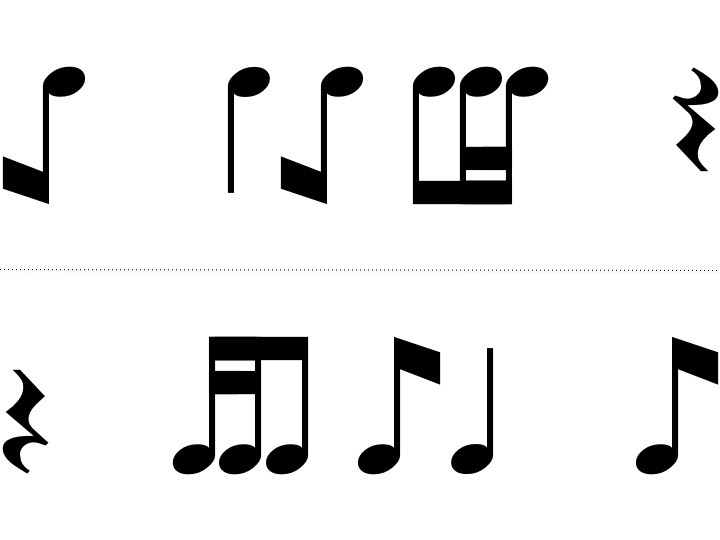 To “Up the Ante”, have students clap only their rhythms. I'm going to print them out on card stock and then they will be folded along the dotted line so that they stand up. Additionally, I have made some glynniss' games that I will be posting at my TpT store and will be writing a blog post about tomorrow. If you follow Aileen Miracle's AMAZING blog, you'll see that she posted about this yesterday and she has some "I have/Who has" files at her store (and she has a freebie!). 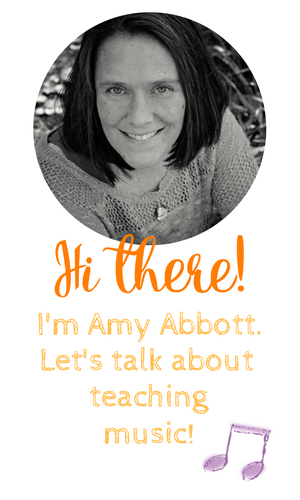 Make sure you follow her, both on her blog and at her TpT store, she has some great ideas!!! Awe thank you!!! Let me know what others you want and I'll send them your way! Hi Amy! I love the concept, but I tried this game today and came away with a couple of questions. First, does this mean that the person who is assigned the lowest position will be the last person to make it to the king's position and there's nothing they can do? Also, I found it was hard to get everyone a turn and get enough competition and success celebrating. Is there a way you modify it so that they can do something right to become the king instead of just doing something wrong to become the lowest position? And how long do you normally play? Yes, it does mean the person on the bottom has the longest journey to the top. Most times we'll have the person who was king before (if it lends itself that way) be at the bottom. OR I let them volunteer and make it a big deal about how that's the most challenging position and usually I'll have someone volunteer. Sometimes it's just luck of the draw. I know what you mean about getting a turn, that's been the struggle I have too. I find that if they've mastered the concept really well sometimes there's not enough competition. To make it harder we'll make it a clapping only game, without saying the rhythm. And I'll also be really tough on them about steady beat and not dropping a beat and that will make it harder too. I usually play for about 5-10 minutes, but there are classes that want to go on for a LONG Time, that's when I know I can leave it for a sub for that class, lol! I don't modify it so that they can get an automatic pass to the top but we do, as they get older, talk about strategy and that if they want to be the king maybe that's the person they need to "try to get out" in that they read the king's card more often.